A puppet show from Kids Parties New York is a fantastic alternative to the usual kids entertainment available. Designed to have the kids laughing and participating, our children's puppet show is about 45 minutes long and is perfect for kids ages 2-9. With never a worry that kids will be frightened like they might with a clown, the Kids Parties New York puppet show is just plain old goofy fun. A great mix of Familiar Characters from film and TV that your kids already love and The Kids Party Puppets originals, you will be amazed that the kids are sitting in one spot for so long, and not just sitting but having the time of their of lives! Surprises, gags, sing-a-longs, incredible puppets and your kids - a perfect combination! Our kids puppet show is a loose structured rescue story that lends itself easily to any special theme that you may be planning such as a Pirate Party, Jungle Theme, Princess Party or Dinosaur Theme for example. We'll work with you to make your child's special day as special as they are! And remember that Kids Parties New York isn't just Birthday Parties, but any occasion where there are kids. Click on the Home link below for more info or just call Ken now at the number below to go over your party or event. Talk to you soon! Puppet Parties for kids with Kids Parties New York in the Tri-State Area. A puppet show from Kids Parties New York is a fantastic alternative to the usual kids entertainment available. Designed to have the kids laughing and participating, our children’s puppet show is about 45 minutes long and is perfect for kids ages 2-9. With never a worry that kids will be frightened like they might with a clown, the Kids Parties New York puppet show is just plain old goofy fun. A great mix of Familiar Characters from film and TV that your kids already love and The Kids Party Puppets originals, you will be amazed that the kids are sitting in one spot for so long, and not just sitting but having the time of their of lives! Surprises, gags, sing-a-longs, incredible puppets and your kids – a perfect combination! 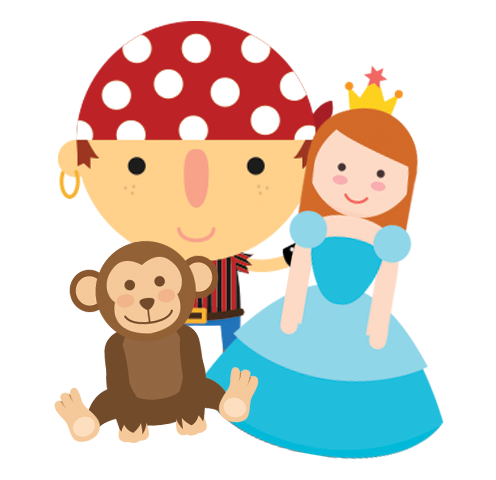 Our kids puppet show is a loose structured rescue story that lends itself easily to any special theme that you may be planning such as a Pirate Party, Jungle Theme, Princess Party or Dinosaur Theme for example. We’ll work with you to make your child’s special day as special as they are! And remember that Kids Parties New York isn’t just Birthday Parties, but any occasion where there are kids. Call Ken now at the number below to go over your party or event.